Best Place for Autumn Colours? Looking to plan a trip to the Highlands in Autumn to see the amazing colours in the trees. Probably just a few days? Not sure where to head for Highland Perthshire, around Killiecrankie or further north towards Glen Affric. Any other places folks would recommend? Have a look at this discussion on where to see autumn leaves. It may help you with a few ideas. I have enjoyed going to The Hermitage near Dunkeld. Ok great thanks, yes the hermitage is stunning at any time of year.Dukes pass in Trossachs impressive too. Yes the Hermitage is superb ! However The Birks at Aberfeldy is also fantastic in Autumn . The Trossachs is magnificent too , especially driving near Loch Venachar. Having lived in Highlands for many years Glen Affric is one I recommend to visit in the Autumn ! Yes so much to see and do in Scotland in the Autumn !! Just a short (bus) trip from Edinburgh, Roslin Glen in Midlothian is a beautiful place for a walk. It's lovely at any time and you can finish off your walk with a visit to the magnificent Rosslyn Chapel nearby. Hi there @highlandexplorer, you have to visit Perthshire for Autumn colours. 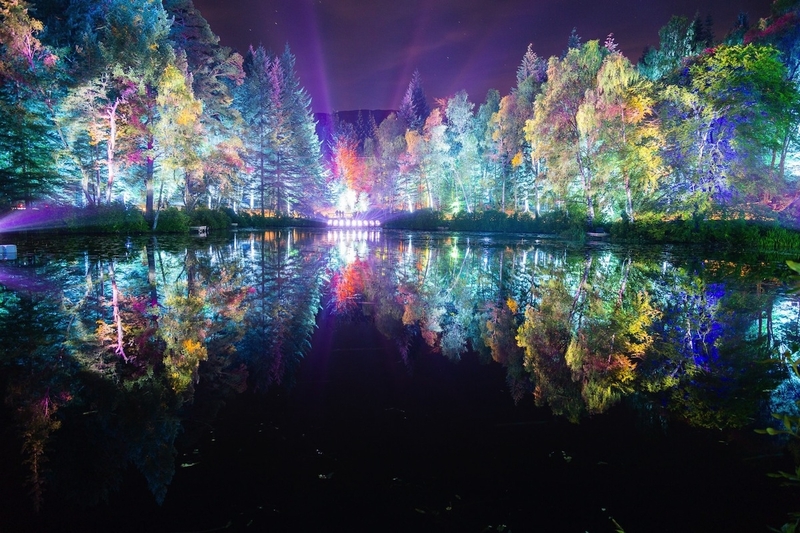 Check out the Enchanted Forest Event that helps highlight those colours with a spectacular light & sound show.